1. 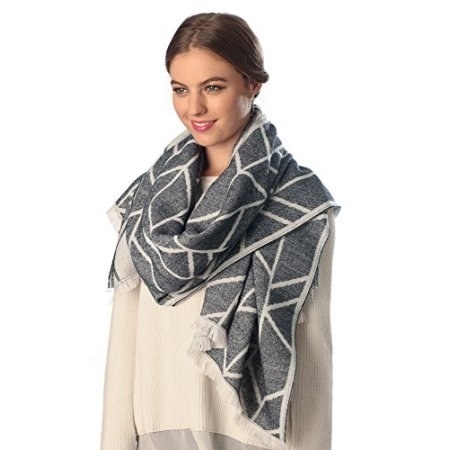 A colorful oversized woven scarf for some cheery color when all you see is gray and white. 2. 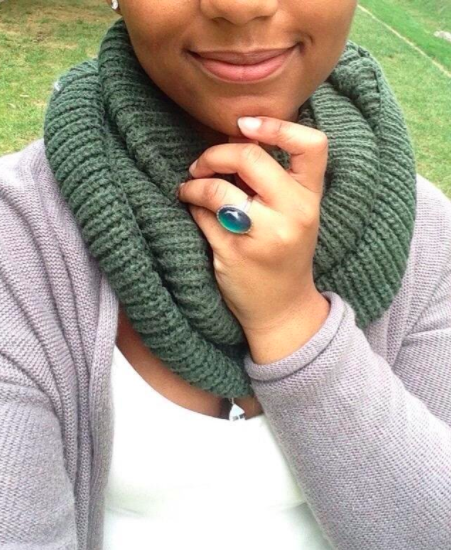 A long scarf you can wrap any way, from casually chilly to need-to-shove-your-whole-face-inside weather. Get it from Amazon for $9.99+. Available in 16 colors. 3. A colorblock circle scarf to bring life to the parka you're about to wear for the next 5,000 days. Get it from ModCloth for $22.99. Also available in red. 4. A thick blanket scarf, because when it comes to winter, more is more. Get it from Amazon for $9.99+. Available in 17 colors. 5. A double-sided herringbone scarf so you have options, unlike whether or not you can request a snow day. 6. 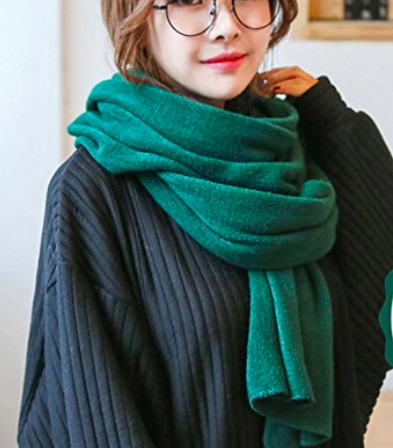 A thick-knit infinity scarf for a hug around your neck just in case you're too shy to ask a stranger to hold you for warmth. Get it from Amazon for $9.99. Available in 42 colors. 7. A faux fur scarf to get more attention than a snowman with a six pack. 8. A metallic quilted scarf that'll essentially be a second coat around your neck — what more could you want? 9. 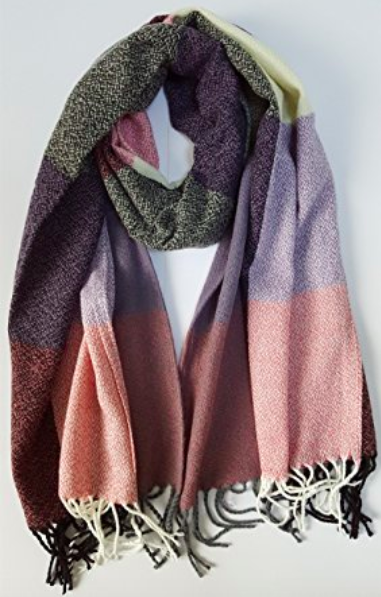 A patterned blanket scarf, because you will wake up zero times this season saying "I think I'll put on a light scarf." Get it from Walmart for $12.99 (originally $16.99). 10. A semi-wool scarf for a level of full-blown toasty, even if you don't have a mug of hot cocoa to cling onto. Get it from Jet or ModCloth for $24.99 (available in four colors). 11. A sequin scarf to add some sparkle when glittering snow turns to plain old slush. Get it from Boohoo for $14 (originally $28). Also available in black. 12. A gingham oversized scarf so you look chic AF even when falling in another black puddle. Get it from Amazon for $15.99. Available in 42 colors. 13. A textured scarf with adorable pom poms, because little bunny butts are hibernating for the season, so this is what we're working with now. Get it from Boohoo for $11.50 (originally $23). 14. A super soft woven scarf that'll make walking through a winter wonderland feel like a breeze, not a doomed challenge. Get it from Urban Outfitters for $34. Available in eight colors. 15. A chunky tartan wrap for the ultimate protection against the frigid winds testing us to play hooky. Get it from Amazon for $15.89. Available in 11 colors. 16. 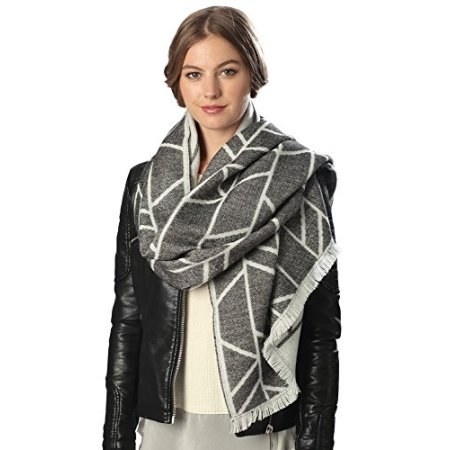 A metallic woven scarf to look trendy while power walking to the nearest heated building. Get it from American Eagle for $24.95. Also available in rose gold. 17. 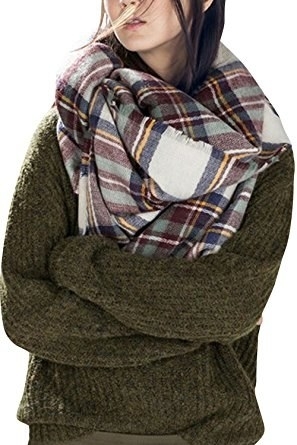 A tartan blanket scarf, because leaving the house wrapped in your comforter is weirdly frowned upon. Get it from Amazon for $14.86. Available in 12 colors. 18. 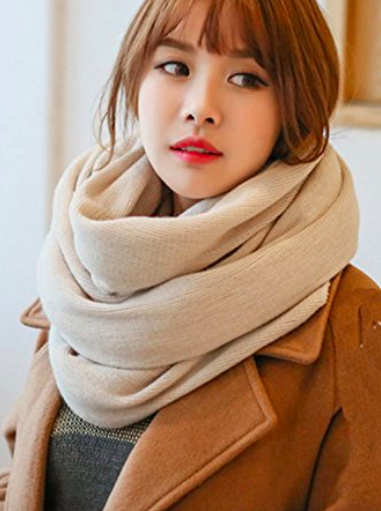 An unexpected zipper scarf so there's a zero percent chance you'll be exposed to the elements. 19. A hooded scarf with attached mittens for unbeatable warmth that'll make you cry frozen tears of joy. Get it from Amazon for $19.99. Available in six colors. 20. A faux fur scarf to look glamorous while you wait in line to sit on Santa's lap. "Yes, for Christmas I would like you to pay my rent." Get it from Forever 21 for $22.90. 21. A plush knit scarf for a *wrap* on looking in the mirror seeing Ralphie Parker. Get it from Nasty Gal for $24. 22. A snug classic scarf, because unless you're moving to the Bahamas you're gonna need a timeless style for seasons to come. Get it from Amazon for $7.99. Available in nine colors. 23. A graphic oblong scarf so you always look put together even when you're secretly wearing five layers of socks. Get it from Nordstrom for $29. 24. 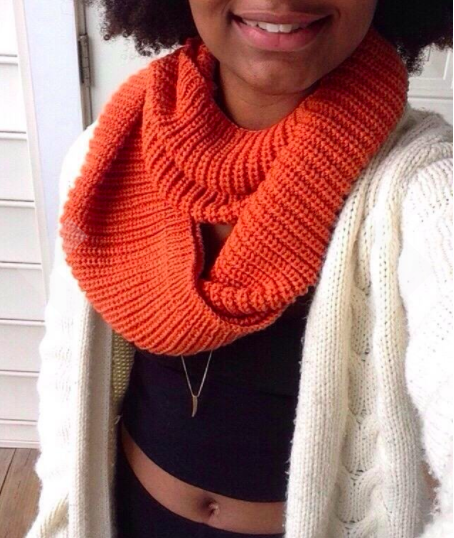 A ribbed knit infinity scarf to stick your face into — either to keep warm or avoid eye contact. Get it from Amazon for $9.99. Available in 38 colors. 25. A cuddly fringed scarf that you'll never get sick of, even when your first snowfall excitement is long, long gone. Get it from Amazon for $6.99+. Available in 15 colors. 26. A ribbed knit scarf with plush pom poms, because how can you be upset about going outside when you have these pups on your side? Get it from Asos for $39. 27. A reversible wraparound scarf so you're always Insta-ready, even if you're in sweats from the top down. 28. 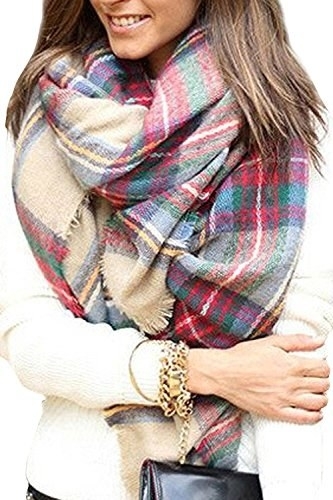 A chic plaid scarf to look mature while you collect snowballs to attack your siblings. Get it from Amazon for $8.89. Available in eight colors. 29. A double-faced scarf for your two moods: happy to play in the snow or collecting pennies to move to Florida. Get it from Nordstrom for $35. Also available in beige. 30. A fringed knit scarf, because showing off your style is usually enough motivation to face the tundra. Get it from Urban Outfitters for $39. Also available in orange. 31. A double-sided leopard print scarf so you have variety even when wearing the same pair of black pants two weeks in a row. One side is green and black, the other is gray and pink! 32. A doggie scarf that'll obey your orders to keep you warm. Get it from ModCloth for $39.99. 33. A thick scarf with a cashmere-feel so you can practice for the day you can afford the real deal. Although, OBVIOUSLY you will have a driver so you never have to go outside. 34. A leopard print faux fur scarf, because you need to prove that no amount of snow will make your style extinct. Get it from Forever 21 for $17.90. 35. An embroidered floral scarf so your look is in full bloom long before spring is sprung. Get it from Boohoo for $16 (originally $32). "Please don't touch my new scarf, ok."